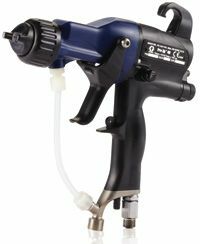 Electrostatic Spray guns ensure the most even coat possible. Electrostatically charged paint is sprayed over the grounded piece you wish to coat, and the electrostatic attraction causes the paint to be attracted to the piece. This process has the highest possible transfer-efficiency and paint utilization of any spraying operation. Electrostatic painting is similar to powder coating, however unlike powder coating, it requires that the paint material be electrically charged. 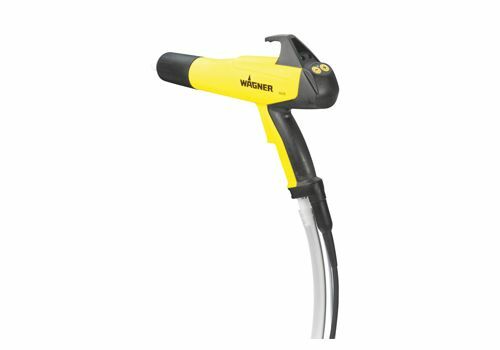 There are a wide variety of electrostatic spray guns available today, each with different designs to achieve specific results for different situations. Electrostatic painting has many benefits over traditional painting methods. These benefits can result in cost savings for your operation, increased profitability, and improved efficiency. The electrostatic painting experts at Finishing Consultants can help you determine if electrostatic painting is the right solution for you. If any of the benefits below interest you, then electrostatic painting may be the best solution for your operation. If you think electrostatic painting might be the right application or you, or if you’re interested in improving your industrial electrostatic coating process, schedule a visit with Finishing Consultants today!